Has it been over a year since you were diving? This class is for you. Come into US Scuba Center And schedule a 90 minute pool review session with a US Scuba Instructor to update your diving skills. You will receive a Refresher Kit that includes an Update Video and workbook. Cost is $110.00 for the first diver and $50.00 for an additional diver. You just need to bring your mask, fins, boots, bathing suit and towel, we will provide the rest. 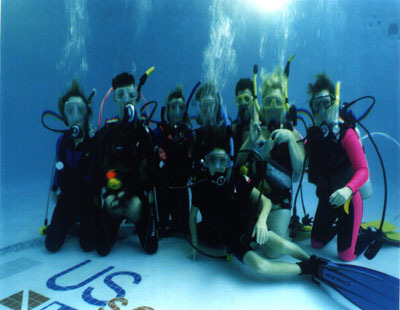 Your personalized Scuba Skills Update Course is taught in US Scuba Center's conveniently located in-store pool designed just for scuba diving! The Refresher Classe is scheduled to meet your individual scheduling needs. Remember that many diving operations require that you have completed a Scuba Skills (Refresher) Update if it has been more than a year since you have been diving.